I’ve been on the hunt for a bit of architecture, I think Mike Dorsey’s project brought Mr Neutra to the forefront of my mind again, I really can’t wait to see his finished documentary. 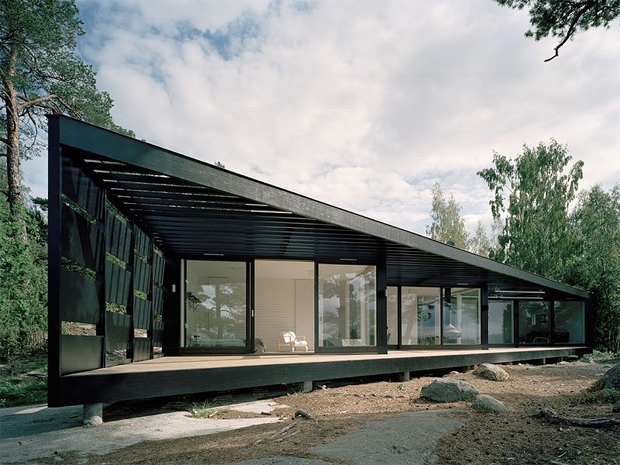 Of course I could highlight another of Neutra’s beautiful designs today but I thought I’d see if any more contemporary constructions entered into this school of thought, and luckily I came across this place – the Archipelago House by Tham and Videgard Architects. 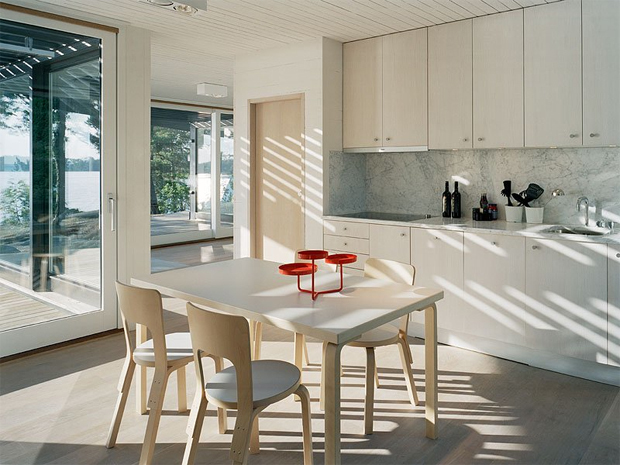 Found on the edge of the Swedish coast line the one story home was created as a summer getaway by Swedish duo Bolle Tham and Martin Videgard, who base themselves from an office in Stockholm. 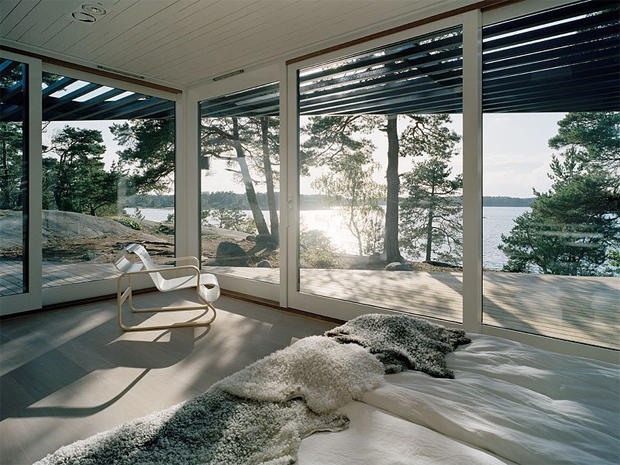 A lot like many of Richard Neutra’s homes, the designers have put a big focus on bringing the outside in with tall floor to ceiling windows and a minimal interior design. 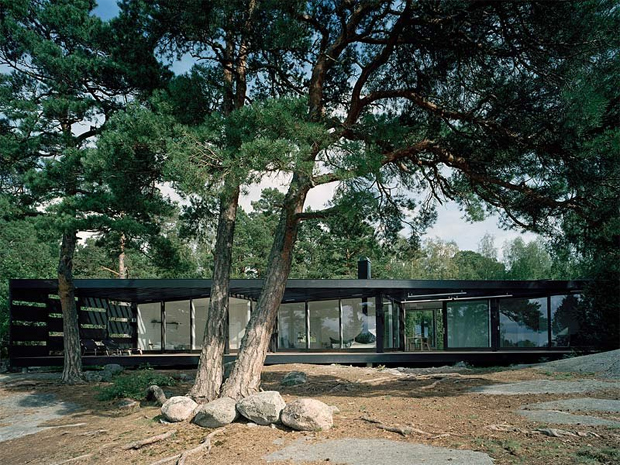 I was particularly taken aback by the contrast they’ve opted for with the pure white inside and the stark black exterior, ensuring the home blends in with the shadows created by the towering pine trees above. The plot itself has been managed well with the layout of the house being fitted into the flat surface between two mountain rocks. Tham and Martin were conscious of the strong winds generated by the sea, so they developed this zigzagged layout that creates a series of outside places sheltered from the elements. With the smaller rooms placed in the back, the social areas of the house stand out as an open platform crisscrossed by sliding glass. These communal pockets are all connected via a veranda deck, which we get the best view of in the sixth image down. 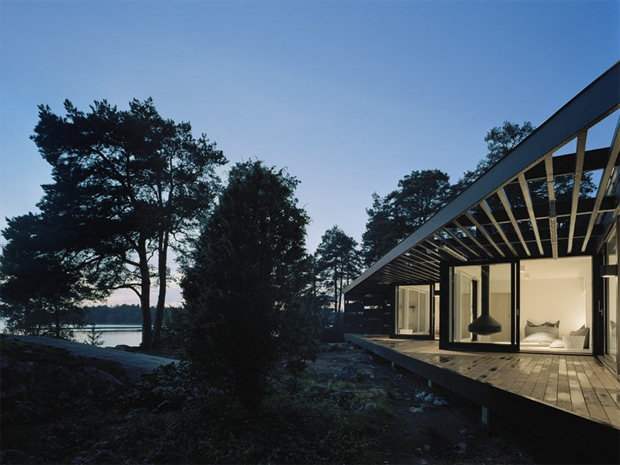 This includes the kitchen, living room and studio along the west facing wall, taking in the endless sights out to sea. 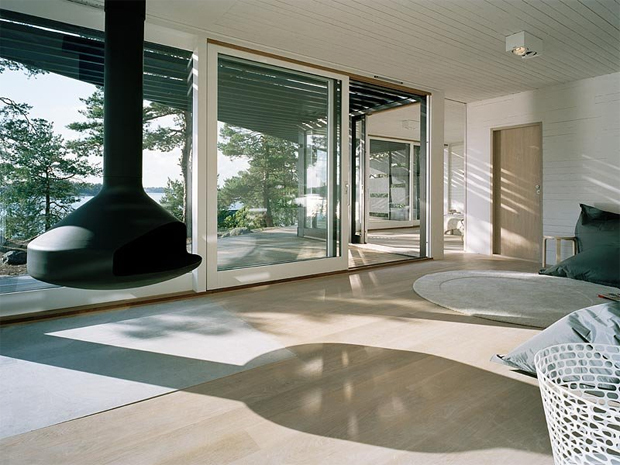 Through the day the home is filled with an abundance of sunlight from the south, creating long natural shadows. 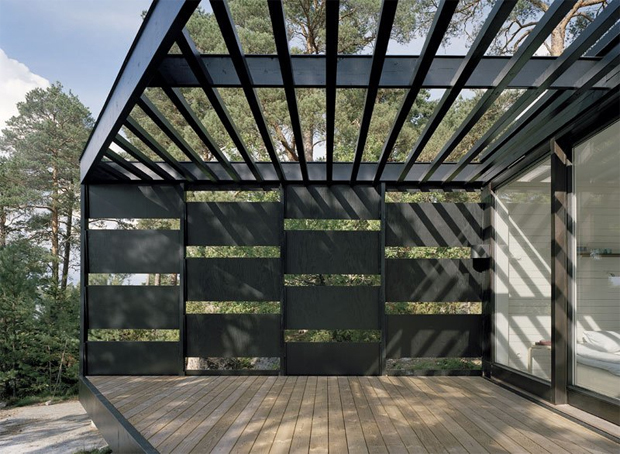 For me there seems a real tranquility to what Tham and Videgard have created here that matches the local surroundings. If you enjoy this element too why not head across and see what else the pair have been working on. As always I’ll leave the link for this just below.